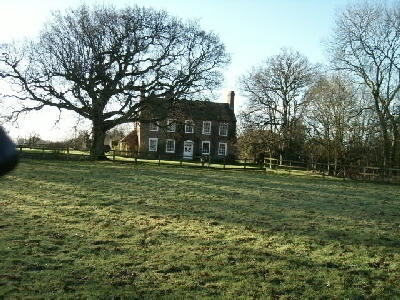 On a recent ramble we came across a fascinating house called Great Wapses Farm, near Twineham, West Sussex. As we were gawping in amazement, the owner came out and explained that the timber and brick house was built in the early 17th century and the Georgian house added to its back in about 1720. It's now all one house. Apparently, there are only about 40 such houses in England, mainly in Sussex, the rest in Suffolk. I wondered if the owner of the earlier house had gone up in the world, perhaps having profited from enclosing land, and had built himself an elegant house a la mode on the back of the old one, facing away from the farmyard. 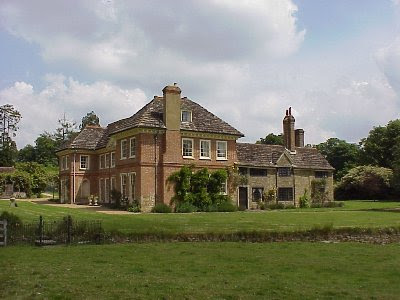 Although Field Place was "improved" by successive owners over the years, the house has now been meticulously restored to its eighteenth-century condition by Kenneth Prichard Jones, a past president of the Keats-Shelley Memorial Association. The house is composed of several architectural elements (for a thorough analysis of the architecture, see K. Prichard Jones, "The Influence of Field Place and its Surroundings upon Percy Bysshe Shelley" in the Keats-Shelley Review). The original thirteenth-century medieval section held the kitchen in Shelley’s time. There is also a fourteenth-century central addition. There are more photos of Field Place on the website. The church of St. Peter is a small structure consisting of a chancel with a modern north organ-chamber, nave, south porch, and west tower, with a shingled oak spire. The walls are of brick, with remains of original plastering outside; the roofs are covered with Horsham stone slabs. 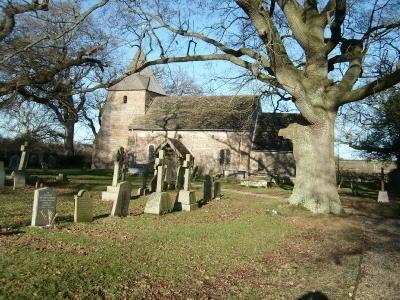 The church was built in the first or second decade of the 16th century, probably on the site of an earlier building.